Nosto allows you to deliver every customer a personalized shopping experience through recommendations based on their unique user behavior - increasing conversion, average order value and customer retention as a result. 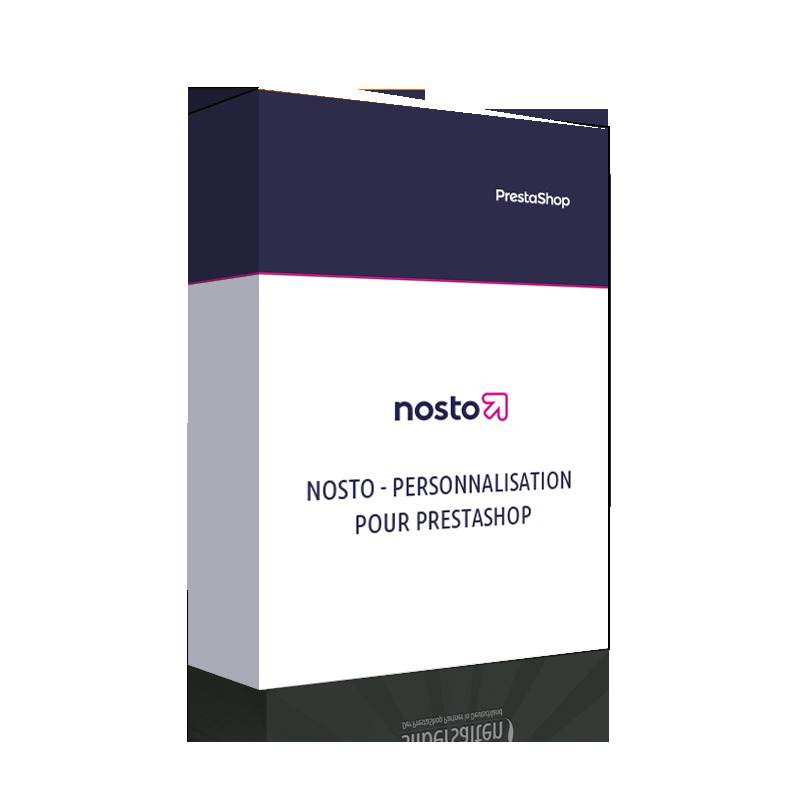 Nosto’s offering for PrestaShop merchants is unique: it's extremely easy setup and real-time product recommendations are unlike anything PrestaShop merchants have had access to before. You only need give the module a few days to learn the user behavior on your site. Our pricing model scales as you do. With no minimum spend or commitments, we tie our success to yours, taking only a small % of the revenue we help you generate. Install Nosto for FREE in minutes, and join over 13.000 retailers across the globe using Nosto to grow their business and delight their customers! Increase Online Sales and enable customers to Enjoy Online Shopping! Pay only a small % of the revenue Nosto helps you generate! The fastest, easiest way to deliver personalized advertising to a marketplace of over 1.4 billion people. Reduce site abandonment and increase conversion with time-limited special offers and one-time discounts. Reconnect with your customers through automated, personalized emails. Nosto analyzes your customers’ behaviour, learning their likes and dislikes and enables you to automatically personalize your product recommendations, triggered emails, pop-ups and facebook ads in real-time, for each individual shopper. The result? Happier customers that buy more. We are proud to be trusted by over 13,000 retailers from 100+ countries worldwide.